WHEELING, Ill. (WLS) -- An Illinois company issued a voluntary recall of its dog food that was linked to illnesses and one death. 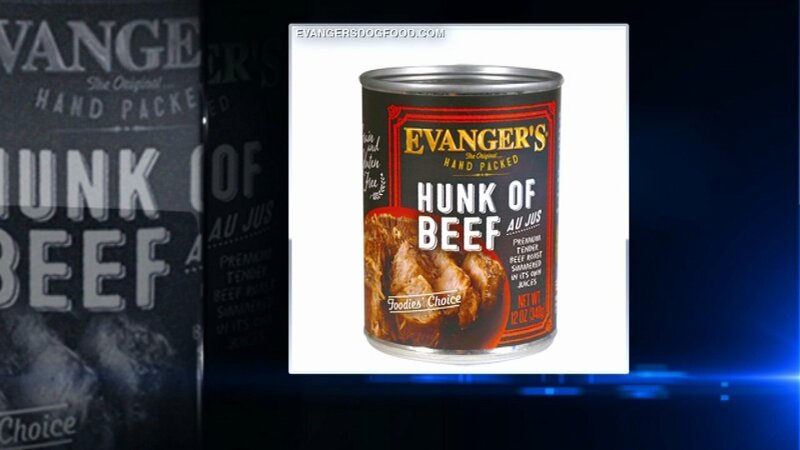 Evanger's, of Wheeling, said contamination was discovered in a sample of its Hunk of Beef dog food. The Food & Drug Administration said the contaminant is a barbituate used to treat anxiety and trouble sleeping in humans. One dog died and five others became sick after eating the dog food.